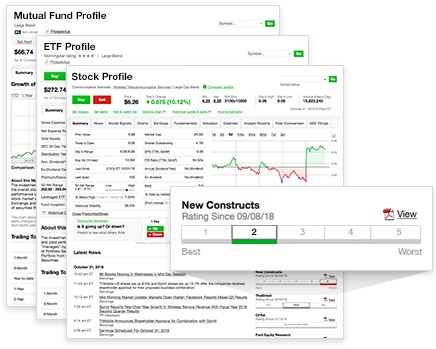 As a TD Ameritrade client, beginning on November 8, you’ll get access to New Constructs reports and ratings on over 10,000 stocks, mutual funds, and exchange-traded funds (ETFs) directly from your TD Ameritrade account. You’ll no longer be able to log in to your New Constructs’ account as of November 15. Now, our research appears in several places under Research & Ideas on the TD Ameritrade website. 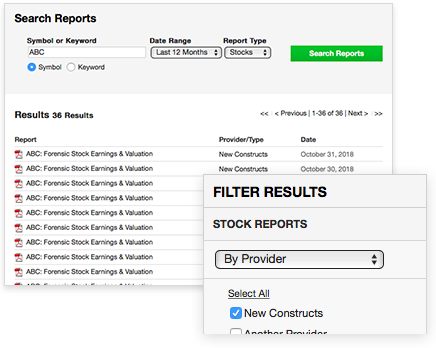 Search for a symbol on the Analyst Reports page; when Search Reports (below) is displayed, check New Constructs. TD Ameritrade added New Constructs research to their site to put more insight at your fingertips. 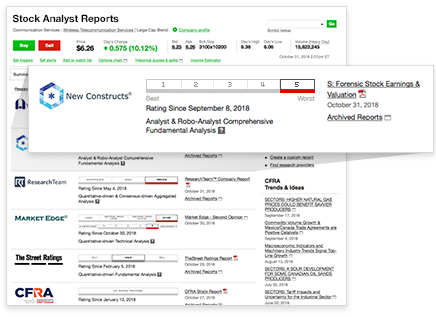 To ensure a successful transition, New Constructs is extending your FREE Gold membership until 11/15/18 or ONE WEEK after TD’s site has our ratings and research. We are also extending a special, limited time offer to continue access to New Constructs GOLD membership. Check your email for details.